Our Professional Reading Group meets monthly between October and June to discuss writings focusing on child sexual abuse, its effects over the lifespan, and therapeutic approaches to treating sexual trauma. The group is open to professionals in the community who are interested in developing their skills and networking with other local clinicians. 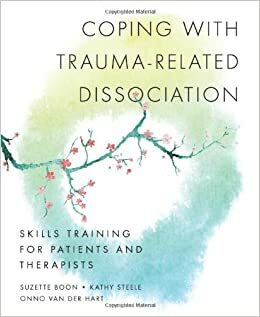 We meet at the Court Diner in Media, PA.
For the 2014-2015 Reading Group we will be reading the book, Coping with Trauma-Related Dissociation by Suzette Boon, Kathy Steele, and Onno Van Der Hart. Earn Professional CE's While Attending! You can obtain 1.5 CE APA approved credits for each group you attend. A $50 one-time processing covers the full year of nine groups for a total of 13.5 hours. What a deal! The Institute for Graduate Clinical Psychology of Widener University is approved by the American Psychological Association to sponsor continuing education for psychologists. Widener University maintains responsibility for this program and its content.